I haven't had a a proper facial in a long time, I usually stick to my routines, and I think I do a pretty good job of exfoliating and hydrating. But of recent since my skin has been under attack by pimples caused by synthetic hair, I have been struggling with a routine, cos one moment all the pimples are gone and the net day it comes back.... very overwhelming! So on this day, I went to groupon to buy a facial; One Acne Control and Dermabrasion Facial from Rose Ela Studio, $45. I called to make the appointment with Rose Ela Studio, and they were very flexible with my dates. I had one booked right away, and even had to reschedule, she was very much easy to work with to finding a good time for both of us. 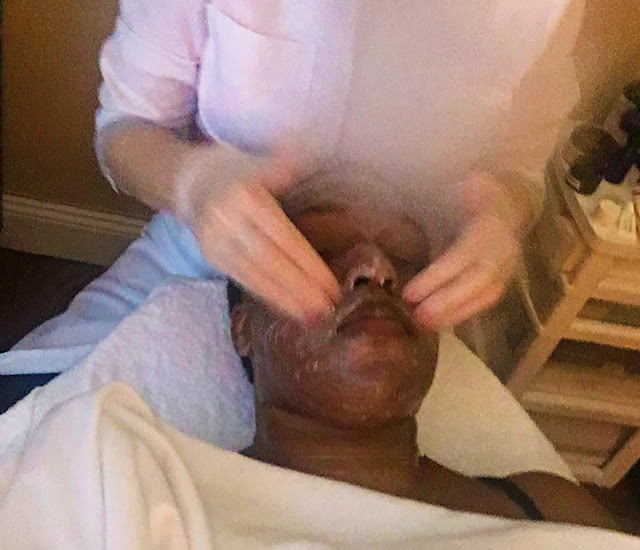 Groupon Deal: One Acne Control and Dermabrasion Facial. What is in the Deal: Funny enough on the Groupon deal, it doesn't really explain to you what they would do to control the acne but I guess I kind of assumed what it would be from the name. Location: 57 Bidwell Avenue, Jersey City, NJ, 07305. 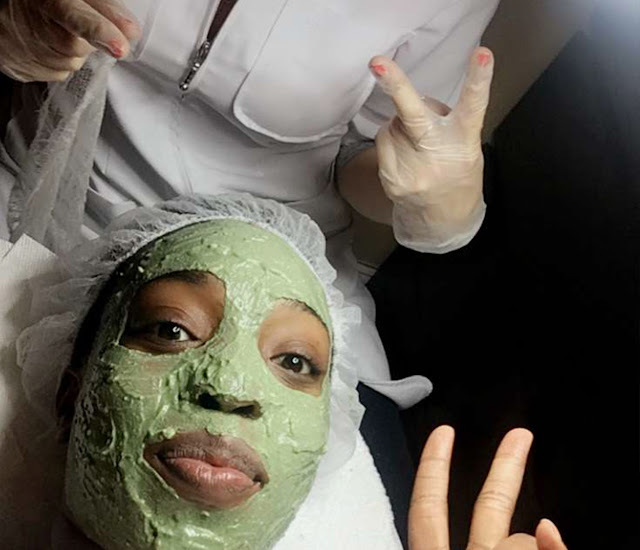 So I live in Jersey City, and was looking for one in Jersey, cos usually, I go to NYC if I was to get a facial. I was really thrilled to see one so close to where I live. So, on the day of, I uber'd there which cost me less than 10 dollars each way. Winning! Upon getting there I was looking for a sign that says Rose Ela Studios, but it looked very residential, I almost thought I was in the wrong place. So I called her, but yep it was in her apt. I remember her opening the door, I met Ela, (it's her studio). I was a bit skeptical because I expected a full spa studio, not a room in the apt. And I usually don't play with my face/skin, so needed to ask a few questions before I decided to continue with this facial. Ela has been practicing for 3 years and decided this year to start her own practice. I like people who are entrepreneurs so she gave me a bit about there back ground and how she got into skincare and exams and classes she took. It was really nice to learn more about her and her practice and see how much she loved and enjoyed what she does. So I decided to move forward and start the process. Before the facial: We sat down for a consultation. She asked me about my routine and what I currently do to my skin. I explained to her that my skin was perfect before this and the synthetic hair fiasco and how it ruined my face, I mean she could see it herself. She said to throw away my face brush because it builds bacteria. I just laughed because I spent a $100 on it, there is no way in hell, someone would tell me to toss it out. I think she noticed I wasn't going to do that so she gave an alternative to washing it with baking soda to remove bacteria completely. Now that sounds more doable. 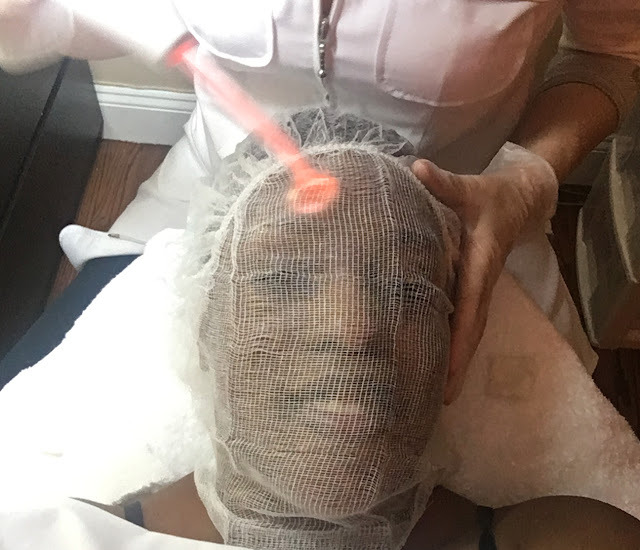 During the facial, She noticed some white heads that needed to be extracted and advised to skip the microdermabrasion and just do an extraction instead. She said if I do the microdermabrasion, I would end up spreading bacteria and advised I did extraction this time and microdermabrasion next time. At first I thought she was going to ask for an additional payment, but she didn't. So I went on and did an extraction instead. 3. Used a retinol face scrub. 4. Extraction: She spent about 30 min on extraction. Most places just do a few but she did everything. 5. Afterwards, she used a micro current wand all over my face focusing on the extraction spots to reduce swelling and also trigger collagen production so it heals faster. This was my first time so it took me a while to get used to the current flow and shocking. 6. Then a facial Mask with Matcha and Pink Clay. Looked a lot like avocado. 7. She then put a warm towels around it and let it sit for 15 min. 8. During the 15 min, she gave my shoulders, arm and feet a massage with cocoa oil. while laying on a heated bed! That was super relaxing! After the Facial: We had another consultation, which went well, she gave me 2 little toners and a 30 SPF for my face. She actually didn't push anything on me, like ohh buy a package, etc. Nope, she just scheduled a next time for the microdermabrasion in 3 weeks. The next day, all the swelling had gone down, and my face felt lighter. Can't wait to see the result in a week. Professionalism: Although the studio is a room in her house, It was very clean, didn't feel uncomfortable after my initial shock. Ela is very warm & sweet and she makes you feel comfortable. there was smooth spa music playing, which was really relaxing. 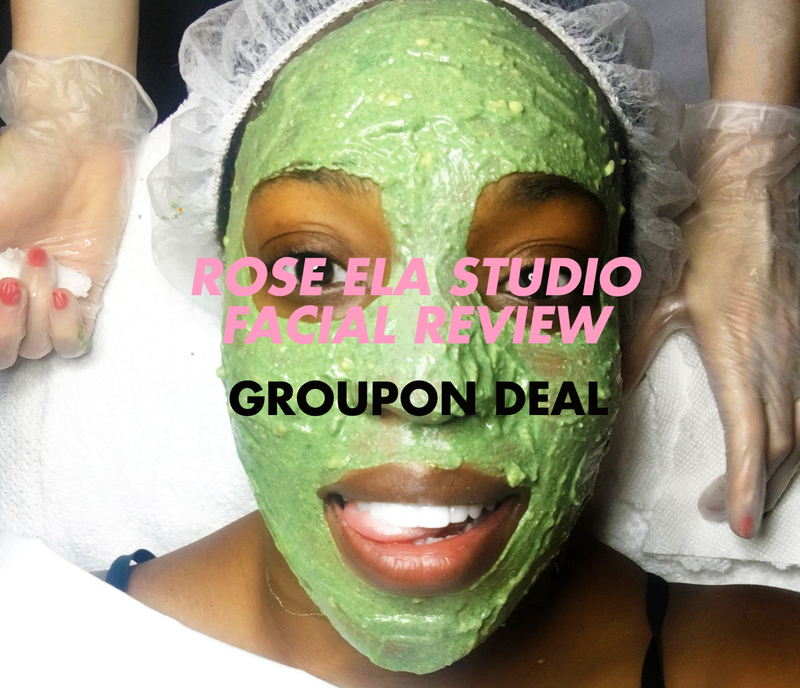 So thats my Groupon facial review. The treatment was good in my opinion and I didn't have to pay more to switch procedures. I liked the fact she made sure she extracted everything and not just the visible one. I would be going back in 3 weeks for a microdermabrasion because I really liked what she did to my face. Thanks for reading this guys, look forward to seeing you in the next post. did you go back for the dermabrasion? Very informative post. Our facial skin is the most delicate part of the body. So it always need special care and this can be only done with a perfect skin care solution. 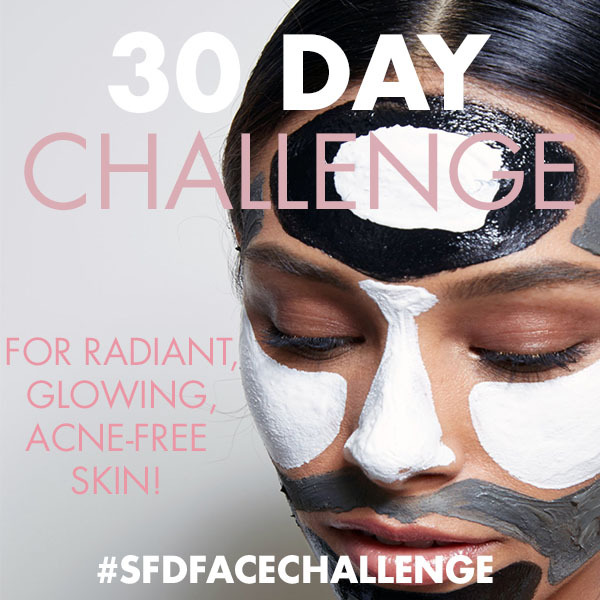 A daily skincare routine is often enough to keep skin problems at bay. Cleansing, toning and moisturizing twice a day, using gentle products is recommended. 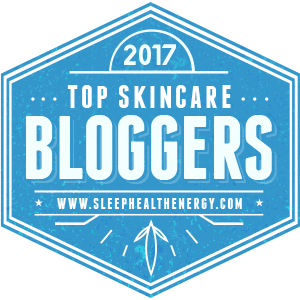 I would highly recommend you to check out Anti Aging removal Secrets below in order to cure your anti aging for good.dermology anti aging solution It will totally solve your problem and make your skin look beautiful. Face masks help keep your skin tight and also give you a clear face. Face masks tend to open your pores and give you a acne free skin. I suggest bit.ly/2k2LhnL revitol acne cream for a great skin experience.